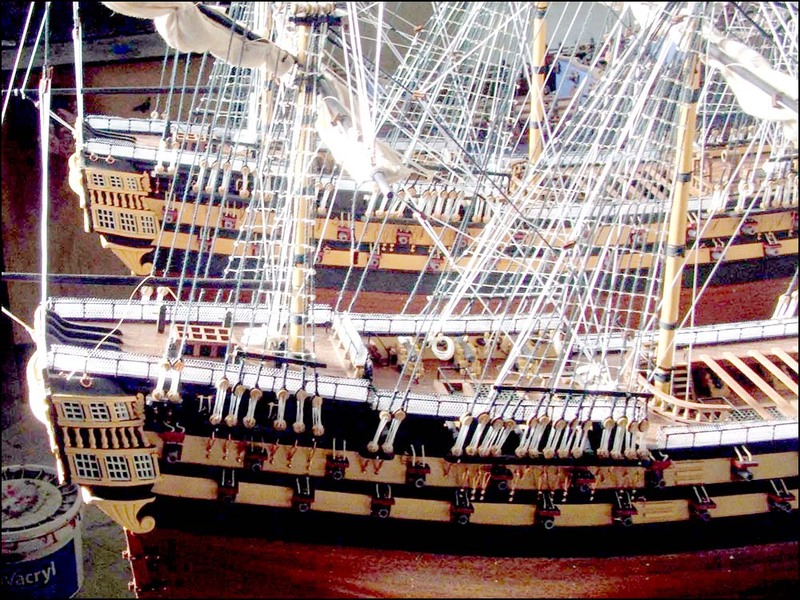 The Sovereign of the Seas is one of the most majestic and elaborately detailed ship models of our British Heritage Collection. These models are made out of wood from start to finish. This is why we use varnish on the hull to bring out the preciousness of the wood used. This model ship is available in medium and large versions. The decorations on this ship are all carved by hand.The larger versions tend to carry very elaborate & intricately detailed carvings while the medium ship also carries detailed carvings and ornaments. All our models come fully built and ready for display.